You have taken the first and biggest step and that is signing up for an event. If you are a month away from your event you will also have a lot of training under your belt and should be in good shape. A lot of the hard work is behind you but now is not the time to lose focus as the decisions you make in the next few weeks can dictate your race experience. 1. Focus On The Date Of Your Race. - Keep your eye on the job ahead and try to keep your schedule as clear as possible to help you stay on track. 2. Study The Details Of The Event. - If you are doing something like an adventure race it is always good to study the maps and course breakdown. Based on your own capabilities break down the race into times, for example, I will run the first 5km inside a half hour, complete the cycle in 1.5hours, etc - keep it realistic. - If you have a chance to train on the course or drive the course then that is great but not always possible. - Plan your times so that you arrive on time and calm for the event. There is nothing worse than being late and getting stressed before you start at all. - Go through the whole detail of picking up your race pack, getting your gear ready, etc. visualise yourself at the start line and keep telling yourself you can do this. Believeing you can is half the battle in race preparation. 4. Get The Gear You Need. - If you need to buy new gear then now is the time, not the week before the event. 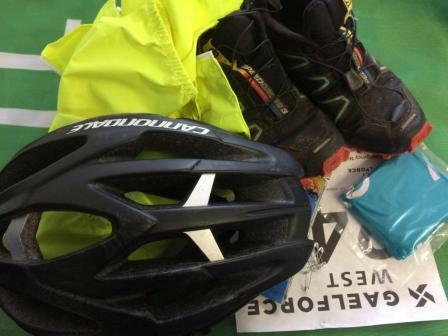 You will need to have trained in your gear before race day to get used of it. Now is a good time to make a list of all the items you need. Check what mandatory kit is required and ensure you have it. Tick the items off your list as you get them. ​- Now is not the time to change tact. Believe in your plan. - If you are training with friends then this can help reassure you and knock out any doubt and greatly assist with race preparation. 6. Feeling Niggling Injuries... Don't Ignore Them. - Go and see the experts for advice. Timely detection of problems can save you a lot of anguish in the future or on the day of the event. ​- Use stretching exercises and yoga to enhance your training. 8. Plan Your Diet And Hydration. 9. Get Plenty Of Sleep And Quality Rest. - Be it pints with your friends, a massage or a long bath, have a vision in mind as to what you are going to do when you finish. I personally like the pints.....but I would probably be asleep after 2 though. Race preparation is tiring!